HARTFORD, Wisconsin (June 24, 2015) â The first media day for the 2017 U.S. Open was held at Erin Hills Golf Course in Hartford, Wisconsin. 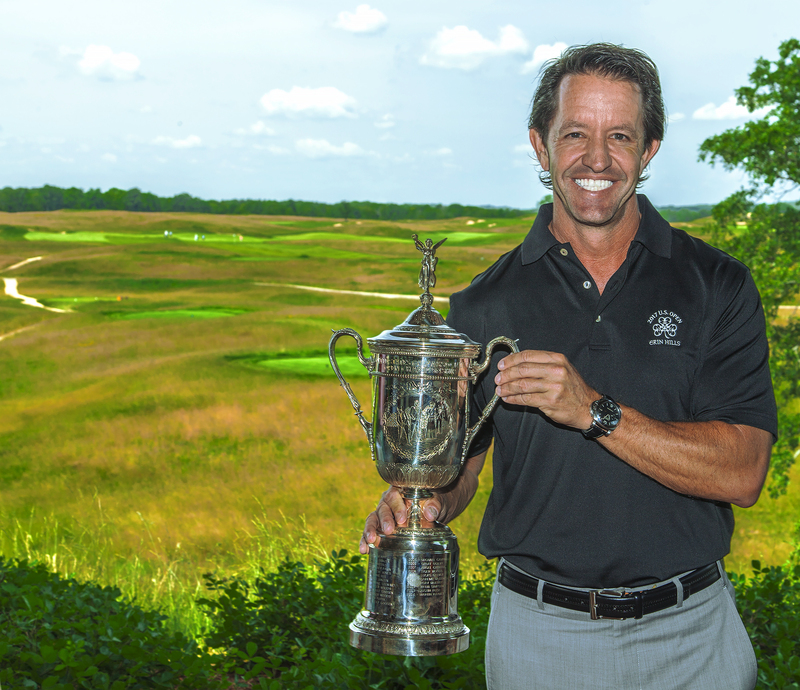 Erin Hills was designed by Michael Hurdzan/Dana Fry and Ron Whitten. Attending this event were local media from Milwaukee, Green Bay, and Madison, as well as media from Chicago and Minneapolis. Many other smaller golf writers and publications were represented at this event as well. Jim Reinhart, general chairman of the 2017 Open, and Scott Walker, the Governor of Wisconsin, spoke at this event. Governor Walker, discussing the economic impact, expects the U.S. Open to impact the local economy with revenues between $140 to $170 million. Jim Reinhart pointed out what a huge benefit it was having the Governor behind this event from day one and how Wisconsin officials truly âget itâ and the tournamentâs importance. Mr. Reinhart also pointed out how Erin Hills environmental sensitivity will be stressed by the United States Golf Association (USGA) before and during the event.